"Deccan Chronicle" features how iKix helped in visualizing Amravati - The capital city of Andhra Pradesh. "The Hindu" features how iKix helped in visualizing Amravati - The capital city of Andhra Pradesh. "The Hindu" features how design can go to a 3D Printer that would print a model in a quick time. The Hindu" features how iKix’s 3D Printed Architectural Model helps MARG in studying form, space and scale. "The Hindu" features how iKix is assisting Chennai Police to prepare for emergency situations. "Business Line" features how iKix assisted ETA Star in planning residential complex in Chennai. "Business Line" features how iKix assisted VA Tech Wabag in visualizing its Desalination Plant. 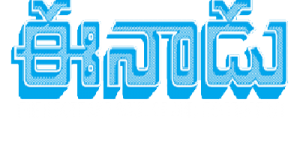 “Eenaadu” features the inaugural of Amara Raja Growth Corridor by Andhra Pradesh Chief Minister N Chandrababu Naidu. The U.S based "Cadalyst" Magazine showcased. "The Economist" in its Technology Quarterly explained the worldwide appeal of iKix. Profiled as a leading Project Management tool. "The Hindu Thamizh" features how iKix helps to improve your business with 3D printers.